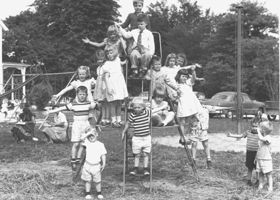 The Country School was founded in 1934 by a small group of parents who wanted to provide their children with the best possible elementary education. 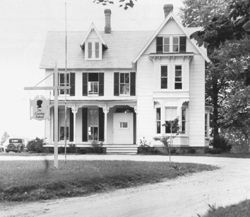 The school began in one room of a private residence located on Glebe Road in Easton, Maryland. 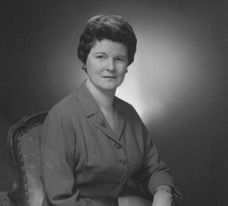 The original student body consisted of five students and Mrs. Dorothy E. Startt was engaged to teach them using the Calvert system. Mrs. Startt set a tone for the school, established a tradition of excellence, and held academic standards high. Subsequently, Mrs. Startt was asked to assume the duties of Headmistress with the founding parents serving as the first Board of Trustees. In the fall of 1941, the school was relocated to larger quarters in a residence adjacent to the old Avalon Hotel, on Dover Street in Easton. This location accommodated two more teachers, along with the addition of a Kindergarten and an eighth grade. The student body now numbered forty. Another move in 1943, to the Queen Anne Hotel in Easton, fulfilled great demand for a nursery school. At that time enrollment stood at sixty students. The school operated in this location until October 1, 1946, the year The Country School found a permanent home in its present location on Goldsborough Street. The original school building consisted of a white Victorian frame house and an outdoor play area for two separate age groups. During the 1950‘s, the size of both the student body and physical plant continued to increase. 174 students were enrolled in 1953. The original section of the current red brick building, consisting of eight classrooms and a gymnasium was built in 1959. By 1966, enrollment totaled 215 students. In order to house the growing student body (upper school, pre-school and primary school), an additional wing was built in 1968. Enrollment continued to grow during the 1970‘s. Further additions to the school were made in 1972 and 1974. An important feature of the construction in 1974 was a library. In June 1977, Mrs. Dorothy Startt retired after forty-three years of dedicated service. Enrollment was at 355 students. In 1978, the pre-school program was discontinued. A transitional period occurred between 1977 to 1979 during which Mr. Thomas M. Green was appointed Headmaster, followed on an interim basis by Mr. Edward C. McEachron. Mr. Russell A. Anderson became Headmaster in July 1979. In conjunction with the fiftieth anniversary in 1984, the school’s first capital campaign successfully raised funds for an additional building for art, music, and physical education. The building was named the “Dorothy Startt Field House” in honor of the school’s first Headmistress. 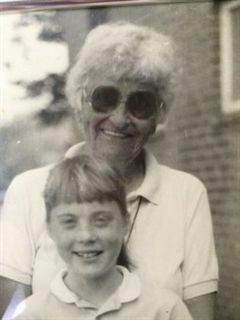 Also in 1984, the annual field day was renamed “Dorothy Andrew Day” to honor “Dot” Andrew upon her retirement from teaching physical education. Enrollment had declined to 170 by 1985. Mr. Anderson retired in 1986, and was succeeded by Mr. James C. Ferrer. A student council was formed in 1988. In 1989, the “Big Toy” playground was constructed by Country School fathers. Enrollment was once again on the rise. In 1990, Mr. Ferrer left to take another post and Mr. Neil Mufson became headmaster in July, having previously served as Upper School Head of the Ensworth School in Nashville, Tennessee. An after-school care program was created and the first Grandparents’ Day held. In 1994, the school celebrated its 60th Anniversary and began an ambitious fund raising campaign to build a new library, renovate and expand facilities, and increase endowment. Throughout the 1990’s, student enrollment consistently increased. In 1999, The Country School Values program began. 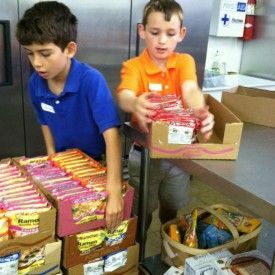 In 2000, the Cornerstones For Tomorrow Campaign was launched and in the fall of 2001, the school opened with enlarged classrooms in a new lower school wing, renovated locker rooms, air conditioned classrooms, and $1.5 million added to the endowment. In 2004, the school celebrated its 70th Anniversary amid great fanfare, and a new school logo was adopted. In 2008, the Country School song was written and an early morning care program was created. In 2009, the Parents’ Association made a transformational gift to the school to help jump start a major technology initiative. The school also celebrated its 75th Anniversary and Mr. Mufson’s twentieth year as headmaster. The first Golf Classic was held, and the Helping Others, Helping Ourselves school-wide community service launched, along with an Upper School Advisory program. In the fall of 2010, opening day enrollment was 290 students. The school began offering Spanish to Kindergarteners, with the number of Spanish classes per week increasing as students progressed through the grades. The archery program kicked off, thanks to a 7th grade student who proposed adding the activity to the PE curriculum. 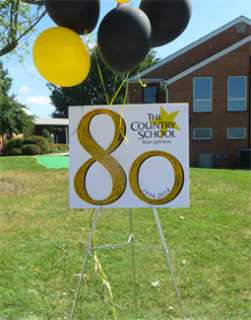 In 2014, the school celebrated its 80th birthday with various events as well as launched a new website. 2015 marks Mr. Mufson’s 25th year, which the board honored with a mini-sabbatical.